The sound platform’s “Head of Audio,” formerly the founder of Ear-Fi, is getting a second chance to revolutionize Internet audio. It was an inspired notion. After all, in the broadcasting revolution of the previous century, radio came before TV. Why shouldn’t there be a platform where professionals and non-professionals can share sound clips as easily as photos or video clips? And the timing was perfect, or so it seemed–-the financial crisis hit the following year, and Ear-Fi never made it through 2008. Now Espinosa has a second chance to revolutionize how the web listens to itself. Last September, he became the “Head of Audio” at SoundCloud, the sound-sharing platform famous for its orange and blue audio player that lets listeners comment directly on a clip’s waveform. First marketed toward musicians as a cleaner alternative to MySpace, SoundCloud wants to expand its user base to include anyone with a microphone connected to the Internet (which, thanks to smartphones, is now nearly half of American adults). So what’s a non-musician’s SoundCloud page supposed to sound like? Some clues can be found on Espinosa’s own sound stream. There’s a minute-long clip recorded at a San Francisco Giants game capturing crowd noise, stadium music, and the cry of a food vendor yelling, “Peanuts!” Espinosa also recorded a short thank-you message to the organizers of #wjchat, a weekly journalism discussion group which Espinosa guest-hosted a few weeks ago. Dig deeper and you’ll find off-the-cuff recordings of lectures and presentations given by media heavyweights like the New York Times’ Brian Stelter and Columbia University’s chief digital officer Sree Sreenivasan. Journalists are another group not using sound to its full potential, Espinosa says. “When the Supreme Court had their health care debate, numerous news outlets referred to the fact that they were recorded, you could listen to them. But even a smaller percentage of those actually embedded the audio of that.” Beyond obvious uses of audio, Espinosa also encourages journalists to use SoundCloud like they use Twitter, to broadcast stray thoughts or to include interview clips or other sound content left on the cutting-room floor. The biggest challenge for Espinosa’s team is convincing audiences that sharing and preserving sound is as worthy an endeavor for everyday people as it is for musicians, podcasters, and radio stations. 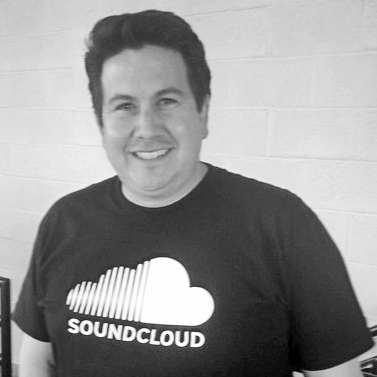 The best ways to do that, Espinosa says, is to make SoundCloud compatible with as many platforms as possible (which it’s already done so through recent integrations with Facebook and Flipboard), and to make the act of recording, uploading, and sharing sound clips as pain-free as Instagram makes photo-sharing.